Having worked in the cricket market for over six years now, I have come to realise that it is something of a cottage industry. Littered with hobbyists and lifestyle businesses, it is a small, niche industry, with only a handful of what we would call “major brands” involved. As such, I often find that the market lacks real drive and ambition. 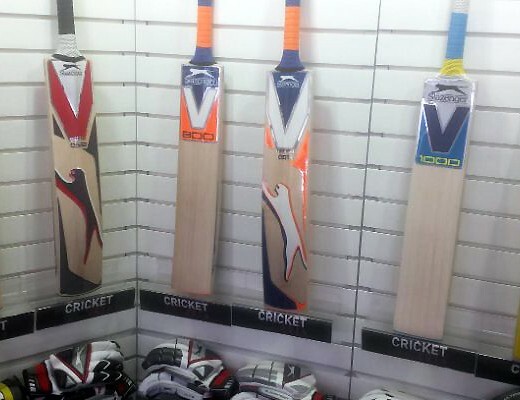 There may not be many major brands in cricket – here in the UK, only Gray-Nicolls, Gunn & Moore, Kookaburra, New Balance and Adidas spring to mind – but there are a plethora of small brands, many of which come and go in the blink of an eye, because the competition is so fierce. I am honestly impressed if a small brand hangs around for more than a couple of years, such is the difficulty of carving out a niche in such a competitive, yet relatively small industry. What we very rarely see in cricket nowadays is a brand coming from nowhere and successfully taking the market by storm. There have been several attempts at just this in recent years: Spartan, Woodworm, BoomBoom and Mongoose being perhaps the most notable examples. Sure, each brand had their fifteen minutes of fame, but none were able to display the staying power required to truly compete with the major brands. 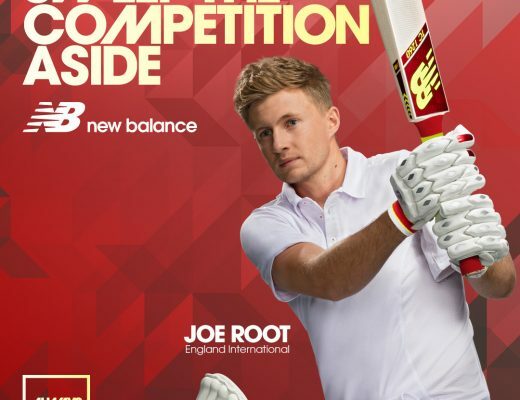 One could argue that New Balance’s rise to glory in the cricket market was a little sudden, and a surprise to many, but they didn’t exactly come from nowhere, such was the global success of the brand in other sports. But in the modern day cricket market, might it be possible for a cricket specific brand to actually make a splash and challenge the big boys? The only brand that I feel have the potential to do this currently are Laver & Wood. Established in 1999, New Zealand based Laver & Wood are certainly not a young or unknown brand. Headed by veteran pod shaver, James Laver, a genuine “master bat maker”, they have one of the best reputations of any in the cricket market globally, but hand crafting a stunning custom made bat is something many other manufacturers can do, so what sets them apart from the rest? For me, it’s ambition. Unlike the others, they are not content to simply exist, they want to grow – and they are starting to put their money where their mouth is. 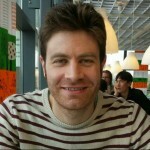 It’s not really a lifestyle business for them – they want to take on the big boys – and the foundations have certainly been laid now. In 2016 Laver & Wood undertook a round of capital raising to allow them to expand their business, which was already very well established in their local markets of New Zealand and Australia, but not so well known in other major cricket playing nations, notably India and the UK. The introduced equity allowed them to move to a much bigger factory in Napier, New Zealand, and thus increase their bat making capacity. Unlike many other cricket bat manufacturers, who typically employ only one or two full time bat makers, Laver & Wood now have four bat makers and a substantial showroom, which has helped see a consistent rise in custom bat sales. As part of the capital raise process, Laver & Wood also set up Laver & Wood India in conjunction with Aditya Vemuri, the largest new investor in Laver & Wood New Zealand. Aditya has helped set up a showroom in Hyderabad, India, which opened its doors in November 2017. Laver & Wood India also have distribution throughout the whole country, to get a firm foothold in the largest cricket playing nation in the world. 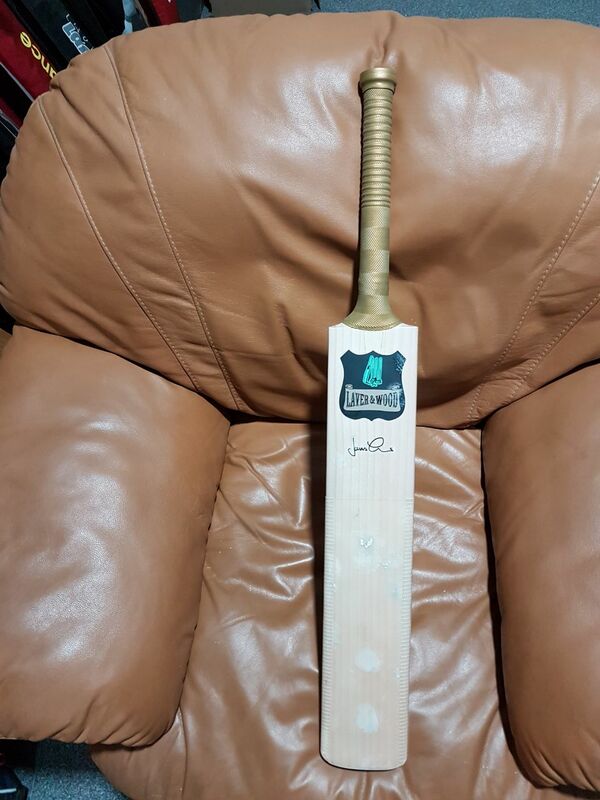 In order to supply the Hyderabad showroom and scale up the manufacturing, Laver & Wood India sources stock bats from within India, working with a manufacturer that James Laver has known for most of his career. James’s quality control requirements are strictly adhered to and monitored by Aditya and the team in Hyderabad, and I think it really shows. What has struck me more than anything is how similar the Indian made bats are to the New Zealand ones, even down to the nuances such as the edge finishing and toe shaping, which Laver & Wood are renowned for. For me, the Indian made bats genuinely look like they have been made by the same bat makers in New Zealand, which given how distinctive the bats are, is very impressive. Despite a significant capital injection, Laver & Wood have taken a very different approach to the likes of Spartan, BoomBoom, Woodworm et al, focusing on the need to improve their operations, manage costs and maintain their quality product and service before spending millions on sponsoring big name international cricketers. Laver & Wood believe that sponsoring these types of players too soon will shift the emphasis to mass production, which will hamper quality in the long run, something that they are simply not prepared to consider. I find this approach to be very sensible and think that the main mistake made by the other “flash in the pan” brands was to try too much too soon. I genuinely believe that the likes of Woodworm and BoomBoom would still be thriving today if they hadn’t spent all their money signing up the star players of their time before they’d properly established themselves in the market. By doing things the other way around, I feel Laver & Wood might have what all these other brands lacked: staying power. As the largest new investor in Laver & Wood, Aditya Vemuri certainly has a lot at stake. His passion, enthusiasm and confidence in the brand shines through and was a major reason why we wanted to help him and the company in their quest to becoming a leading global brand. 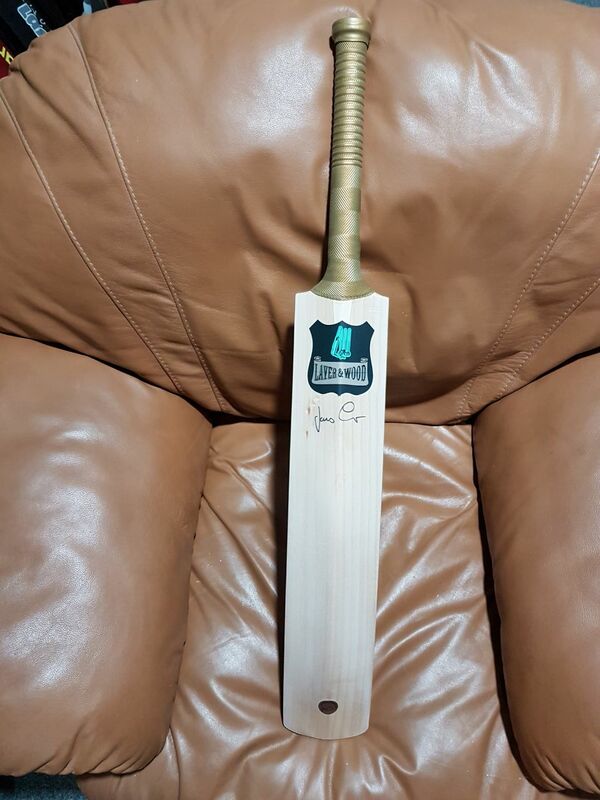 Having been a regular customer of ours in the years prior to his investment, we know first-hand about the quality of Aditya’s bat collection. He has amassed an incredible fifty bats, manufactured by a who’s who of the world’s greatest and most respected bat makers. 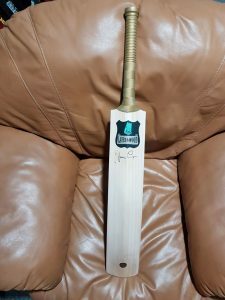 The likes of Tim Keeley, Andrew Kember and Stuart Kranzbuhler have all made bats in his collection, but Aditya credits the Signature bat, from James Laver (pictured above), as the one that ultimately got him back into form. According to Aditya, the “balance of the Signature bat is addictive, like caffeine” and he believes that it is the best bat he has ever used. He cites this as the main reason why he wanted to invest in the company. In his eyes, the bats are simply the best that money can buy, and now he wants to see customers the world over enjoy the same benefits he has. With Aditya’s help, we have handpicked some of the bats across each range to stock in our London showroom and website, http://www.itsjustcricket.co.uk – the bats were all sourced from the Hyderabad showroom and are a mixture of Indian and New Zealand made bats, which we were so excited about receiving that we even shot this unboxing video for our YouTube channel! Since then, we have added the stunning Laver & Wood Batting Gloves to our range, with more bats and softs to follow later in the year. We are delighted to be the official UK distributor of Laver & Wood and in fact the only retailer in the UK where their products can be seen. Laver & Wood also have retail distribution in the USA, a country that has seen a phenomenal upsurge in bat sales for the brand. Customers have the option of buying both stock and custom made bats from the retailers, or direct from Laver & Wood New Zealand or India. 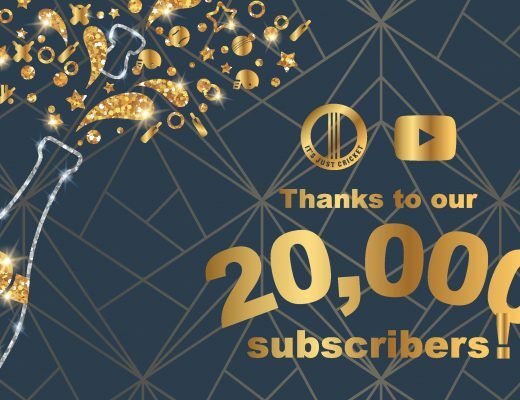 Hopefully this is just the beginning for a company that are clearly working harder than most to achieve the growth and market position that I believe their quality and reputation deserves. As a thank you for reading this post, enjoy 5% off any Laver & Wood product on http://www.itsjustcricket.co.uk by using discount code BLOGLAVER at checkout.